I hate to compare Comedian to other Before Watchmen series. It should really stand on its own merits. But when I go from series like Silk Spectre, Minutemen and Rorschach to Comedian, I see a series that looks lost in itself. Brian Azzarello is a fantastically talented writer, and J.G. Jones a phenomenal artist, so why is Comedian falling off the tracks? Personally, I see it as a mixture of unfocused storytelling that is the catalyst for everything wrong with this series. My biggest issue with Comedian #3 is that it reads like a vignette rather than part of a serial. The series so far has lacked a cohesive thread (other than having the name Watchmen in its title), and issue #3 is another example of that. Azzarello begins the comic with a cryptic phone call between Eddie Blake and Robert Kennedy. The gist of their conversation is centered on what will eventually become the Keane Act, a bill that outlawed superheroes and vigilantism. But the reasons for its inception, as presented by Azzarello, are pretty silly. It basically amounts to a sheriff being personally insulted by a man who was hired by the U.S. government to eradicate a North Vietnamese threat. J.G. Jones’ art is better than in previous issues. Characters are more in focus and panel shots are better utilized for tonal effect. A few character shots are awkwardly illustrated (like a panel of Blake getting up off the sidewalk where he looks like an ape), but Jones’ art is progressively improving in each issue. I feel like Comedian has yet to find its focus. It meanders from moment to moment without any real connective tissue, and where the Comedian is one of the most interesting characters in Watchmen, he’s underutilized in this series. He just moves from one incident to another, but without any defining interaction. And being halfway through its run, Comedian has a lot of ground to make up in order to right itself. I only hope issue #4 is a turn in the right direction. 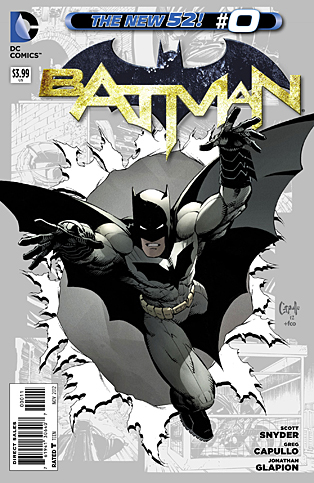 A few months ago, DC released Batman: Earth One, a graphic novel written by Geoff Johns and illustrated by Gary Frank. The story was meant to be a new beginning for the caped crusader, but it felt squashed under its own weight. It was like Johns had too much story and too little space in which to tell it. Now, however, we get Scott Snyder’s story of Batman’s beginnings. If only this were the true Batman: Earth One. Scott Snyder goes back to Bruce’s first days as Batman, to when he was still unsure of himself and clumsy in his delivery. This is Bruce when he’s still Bruce and not a man possessed by an iconic symbol. Snyder uses this time to show how Bruce develops as a hero, but also to show how Alfred influences him as a mentor and how Jim Gordon is more than just a virtuous cop in a deplorable city. If anything, the real detective in this issue is Gordon, and Bruce is almost given up by his own hubris. I only wish the story were longer, because the end is too good a cliffhanger to be left dangling in the universe. There are hints the story will be picked up in Snyder’s next arc (which deals with everyone’s favorite psychopath, the Joker) but I would have preferred to see this story play out over a few issues. However, the comic doesn’t feel truncated. It has a smooth beginning, middle and end. It’s just too good of a story to not revisit. Greg Capullo returns as the artist, and some of his best work in this issue occurs around character design. Capullo superbly depicts a gamut of emotions, from apathy, to anger, to skepticism; characters’ feelings are noticeably present in their facial designs. Given the art we’ve seen in the past, particularly in the “Court of Owls” arc, Capullo is more restrained. But there are moments where he takes away background design completely, utilizing only white space and characters. These moments are the most intense, and when they occur, they draw the eye immediately. I feel like I’ve run out of ways to praise Scott Snyder and Batman. The comic sets the bar incredibly high, and then continuously leaps over it. I’m practically shaking with excitement to see what Snyder and Capullo do with the Joker, because if the past work has taught readers anything, it’s that Snyder will push his characters to their limit and make everyone else victims to their plight. But it’s always a good show. Bannen’s Book of the Week: Damian Wayne started as the proverbial spoiled brat and has since become possibly the best character currently in a Batman series (other than Batman, of course). He’s arrogant but skilled, and a great foil to everything Bruce stands for. 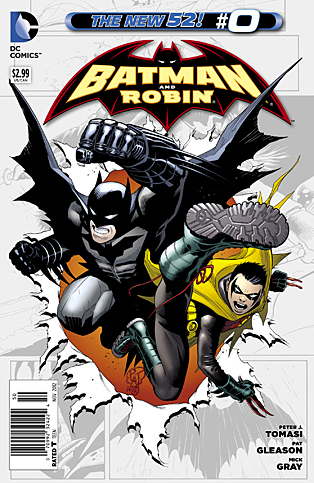 So in Batman and Robin #0, writer Peter J. Tomasi goes back to give readers an informative look at Damian’s beginnings. What he delivers is a strongly-written and well-structured origin that is easily the best comic I’ve read this week. Tomasi’s greatest work comes in the juxtaposition between Talia’s motherly love and her savagery. She can be unbelievably tender, and then turn around and put a knife to her own son’s throat in order to teach him a lesson about trust. Similarly, if there was any doubt about how Damian became the perfect assassin, it’s put to rest after this issue. 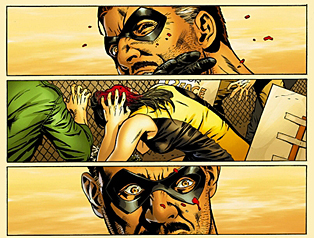 The comic goes back and forth between moments of intense action and moments of heavy dialogue. The flow of the story never falters, though, and with such a single-minded focus, Tomasi perfectly guides readers through Damian’s life, from birth to present day. He’s put into some pretty extraordinary situations, but at no point do they feel out of place in the context of the story. Patrick Gleason is also to be credited, as he has to depict a lot of action. One page is thirteen vertical panels, each its own moment in Damian’s life, but seamlessly interwoven into the plot. Gleason is great at shifting perspective and focus in order to capture and share the perfect moment for the character. Some of Damian’s actions are laugh-out-loud funny, while others are disturbingly violent. But there’s definitely a sense of character in the writing and visuals. The artists of this book understand the character so well, and it shows in how he’s depicted. For an origin story, this is fantastic, and it’s a great backup story to a great ongoing series. 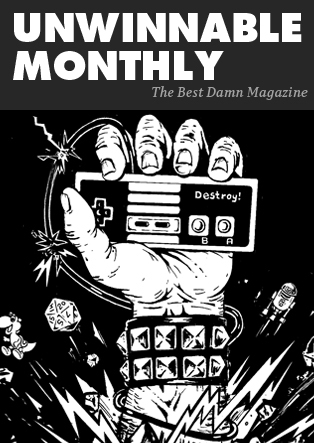 Writing a #0 issue must be difficult. I’m sure the writers want to set it apart from the regular series, yet still include something of use to the constant reader. Tomasi does this perfectly. I wouldn’t say this gives us a new understanding of Damian, but it definitely reinforces his beginnings and how far he’s come as Bruce’s son and partner. I only hope that the next writer who takes over Batman and Robin will be as successful.